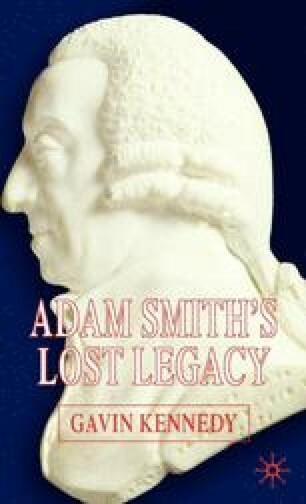 Did Smith’s books contradict each other? ‘Yes,’ said critics in Germany, calling it ‘Das Adam Smith problem’. Specifically, Moral Sentiments, allegedly, was based on sympathy and Wealth of Nations on selfishness. Neither charge is true. Yet, no matter how often the ‘Das Deutschland problem’ is refuted it keeps re-appearing — like that ‘grassy knoll in Dallas’.